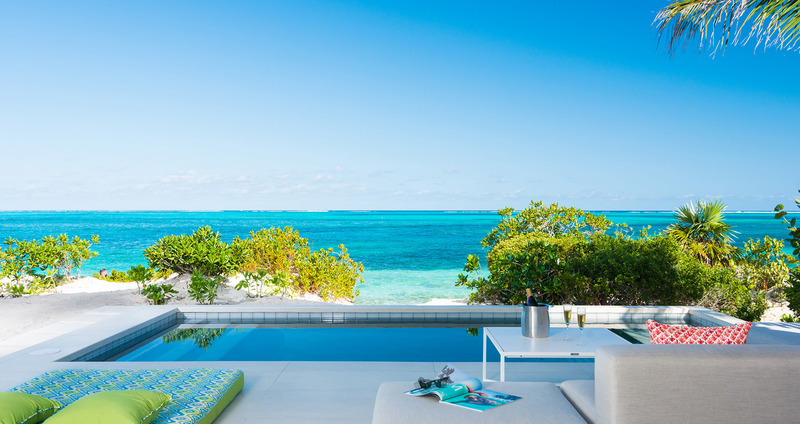 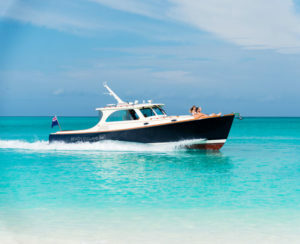 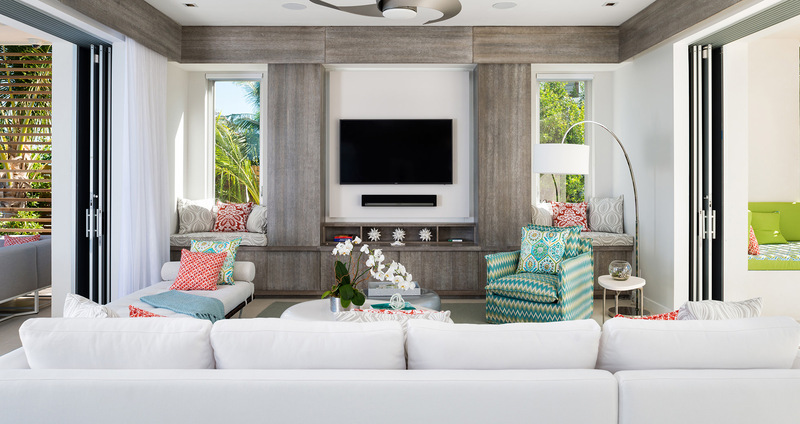 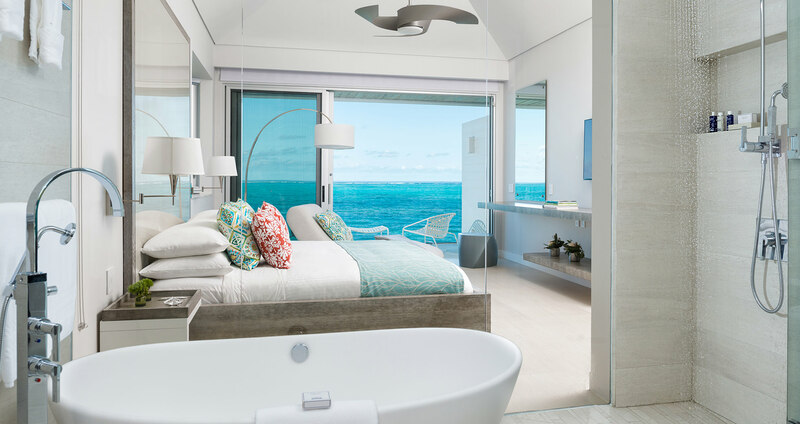 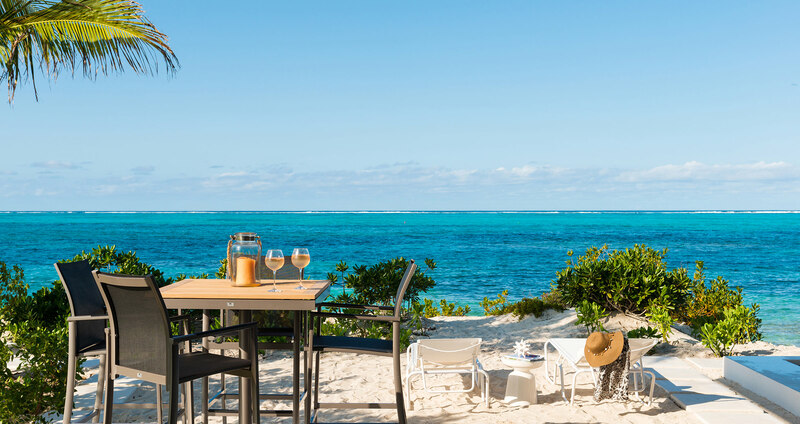 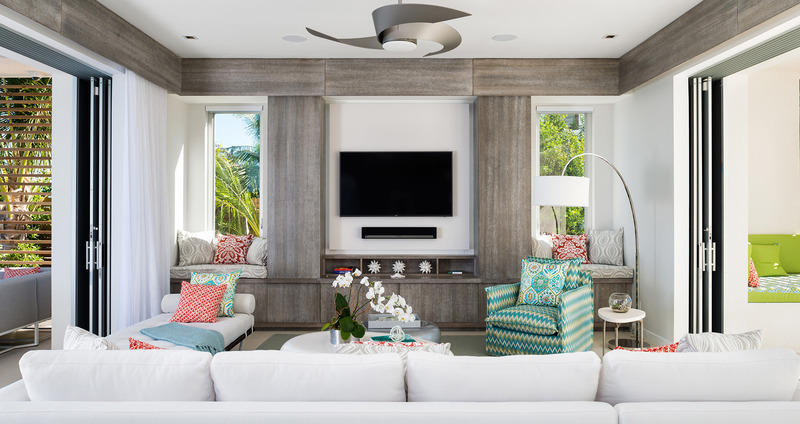 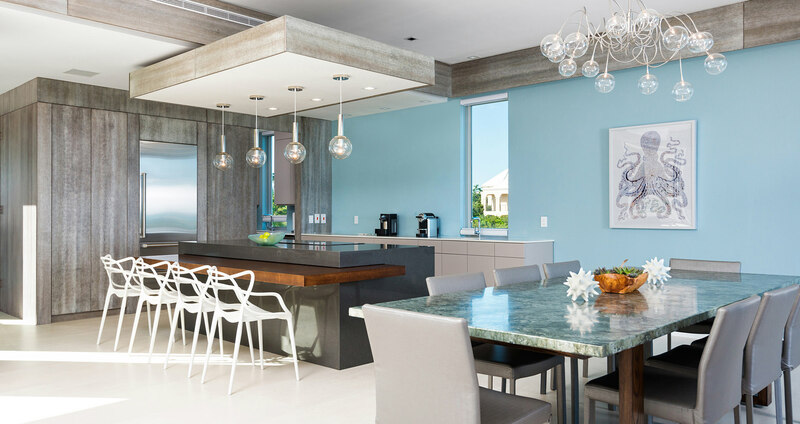 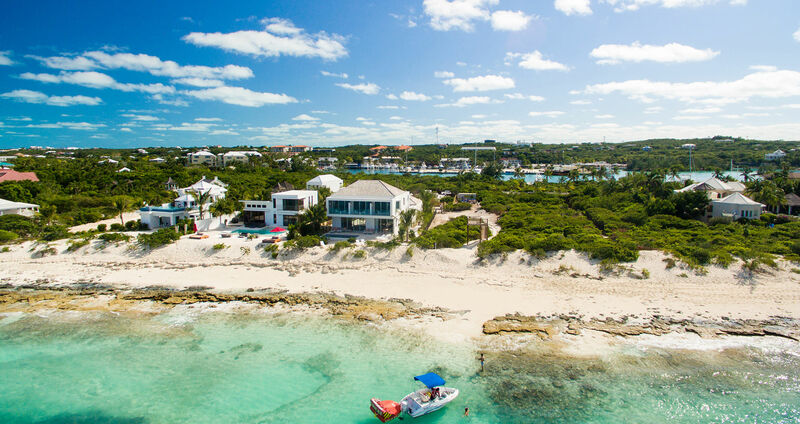 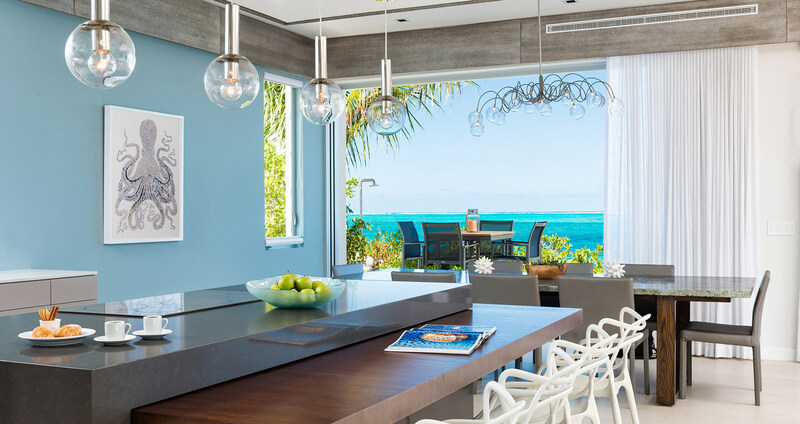 Striking a balance between environmental responsibility and contemporary design, the freestanding private beachfront villaThe Dunes has set a new standard of excellence for luxury villa homes on the Turks & Caicos Islands from its location on Smith’s Reef, approximately a 9-minute drive from the resort. 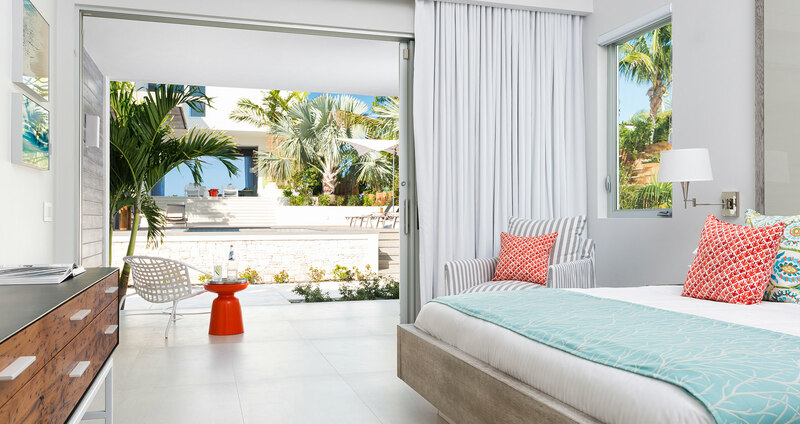 Enjoy breathtaking vistas from the 3 ocean view bedroom suites in the main villa (including two master suites), or the utmost privacy in 2 additional one-bedroom executive pool suites—each with outdoor shower—situated adjacent to the spectacular pool oasis that forms the heart of the villa. 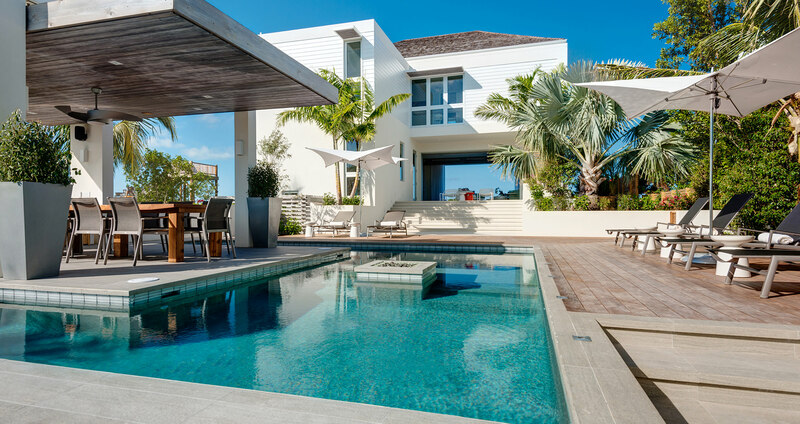 The property’s 5 bedrooms and 5.5 baths complement expansive indoor/outdoor living space totaling more than 6,700 square feet, all situated within a gated, micro resort community. 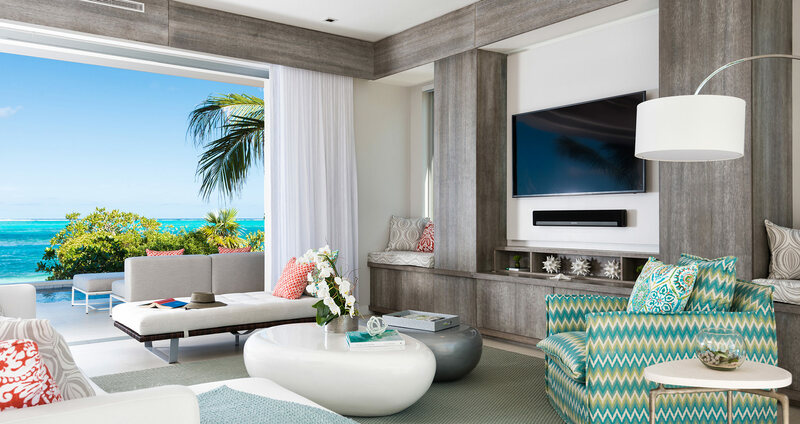 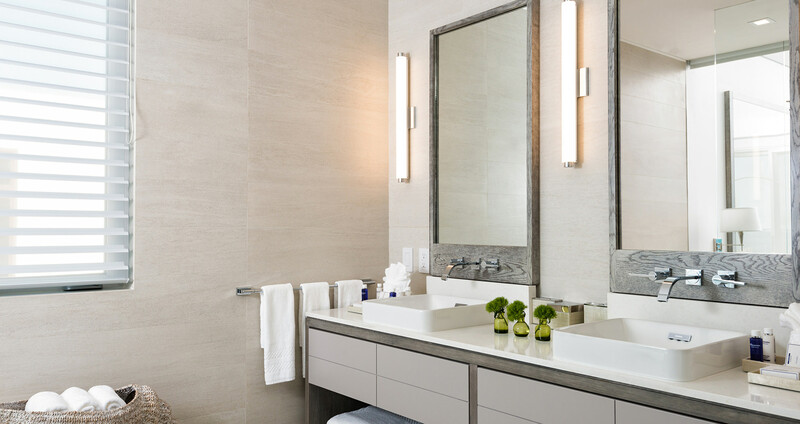 Meanwhile, The Dunes’ onsite, personal concierge will ensure no wish or whim goes unfulfilled. 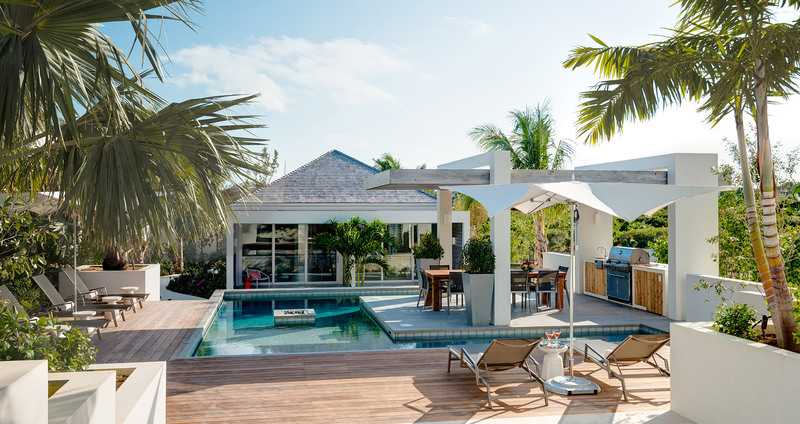 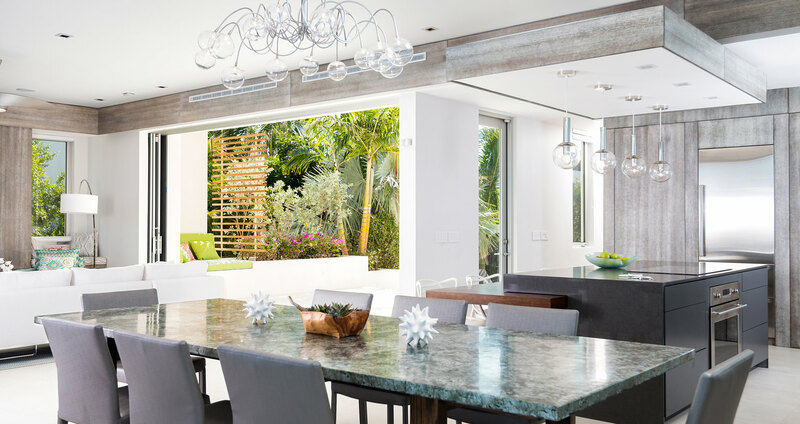 In the heart of the villa, delight in the contemporary style oasis-like pool area featuring a “floating” outdoor dining palapa and bold fire feature. 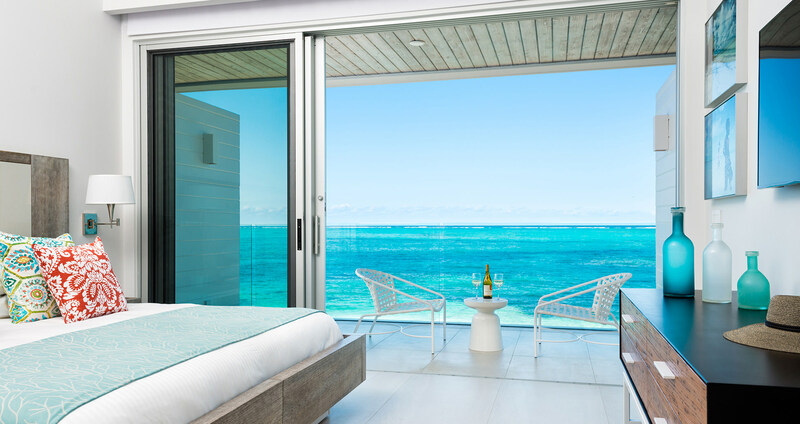 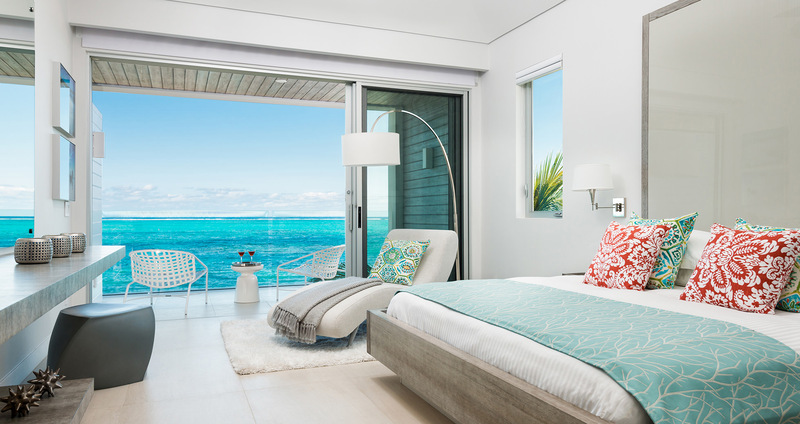 Oceanside, sliding doors disappear to seamlessly connect the main villa’s indoor living space to the full-width beachfront terrace and plunge pool. 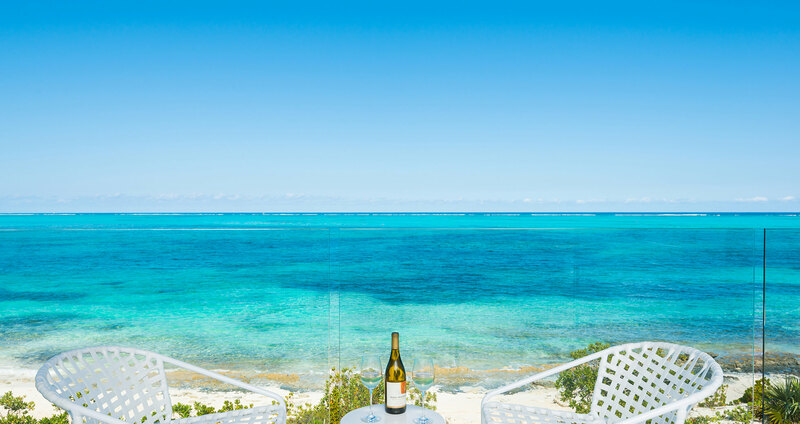 The sumptuously appointed terrace and pool continue on to unique “nestling areas,” located within your own private sandy dunes overlooking the famed Smith’s Reef. 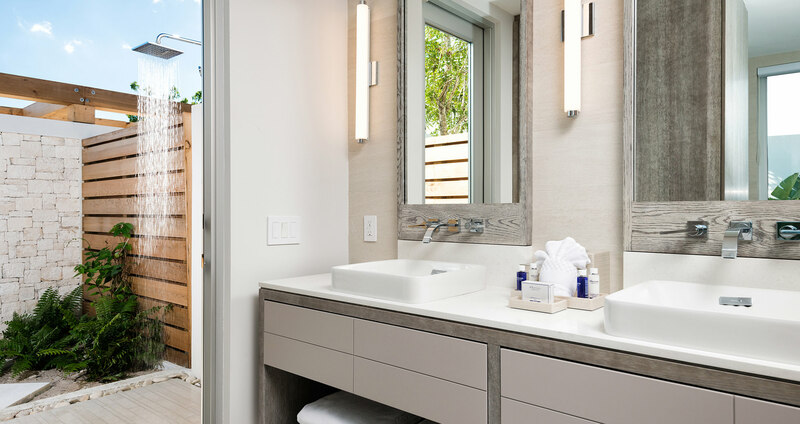 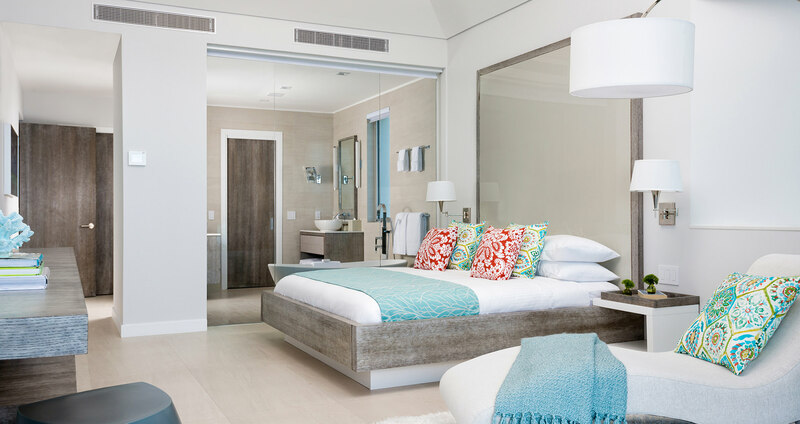 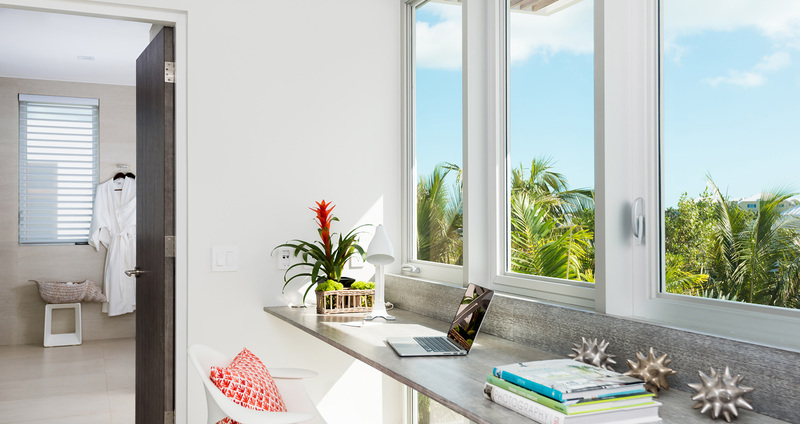 Behind the scenes, multi-zone air conditioning systems, solar water heating and gray water recycling provide the utmost comfort while utilizing advanced technologies carefully selected to reduce the villas’ environmental footprint.